Aquascape Feature Scale Free will protect your ornamental fountain from damage caused by scale and stain buildup. Scale buildup can permanently damage water pumps and clog fountain plumbing. 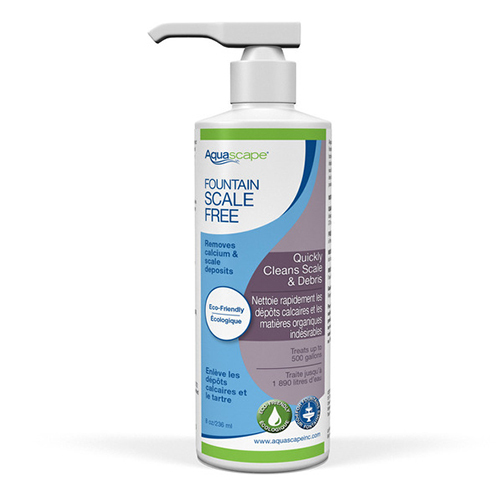 Aquascape Feature Scale Free does not contain harsh chemicals or acids that often damage ornamental fountains and will add the fresh clean smell of lavender to your fountain or water feature. Keep your water features looking their best with Aquascape Feature Scale Free.